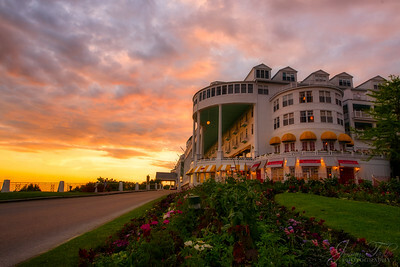 The Grand Hotel at Sunset. Probably everyone who's been here has this shot. And those who live on the island are probably tired of seeing people's photos of it. But here is my image of it. Mackinac Island Michigan. 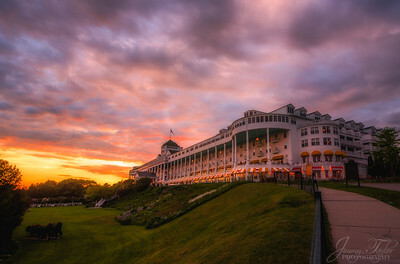 The Grand Hotel at Sunset. 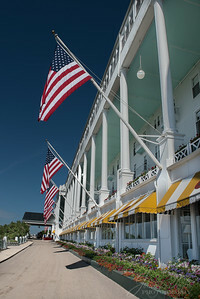 Mackinac Island Michigan. 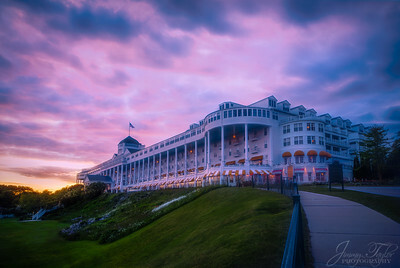 The Grand Hotel at Sunset. 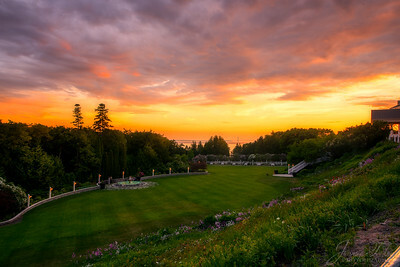 Mackinac Island, Michigan. 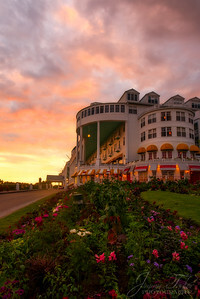 The Grand Hotel, sunset. The better shot was the the right facing the sunset & clouds as evidenced by the person (in red top) up on the balcony taking photos of the purple clouds & sun. 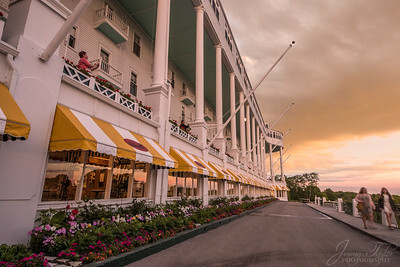 The Grand Hotel early evening. 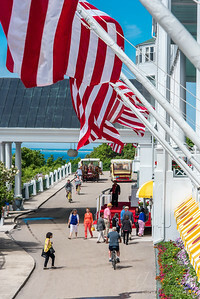 Mackinac Island Michigan. 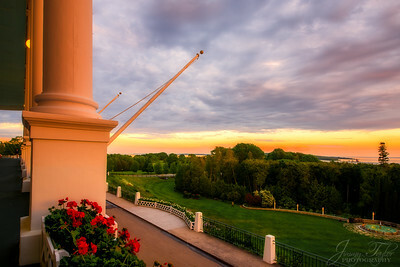 The Grand Hotel early evening from the gardens, Mackinac Island, Michigan. 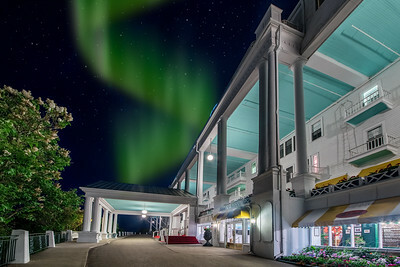 The Grand Hotel night with Northern lights. 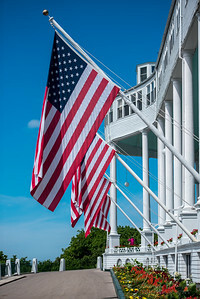 Mackinac Island Michigan. 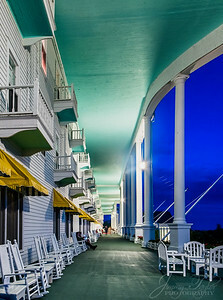 The Grand Hotel night . 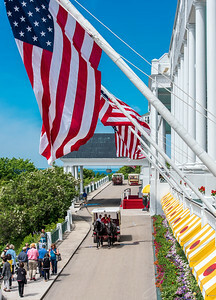 Mackinac Island Michigan. 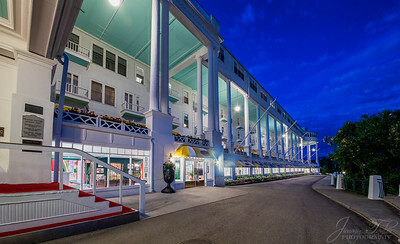 The Grand Hotel night , view looking along the front. 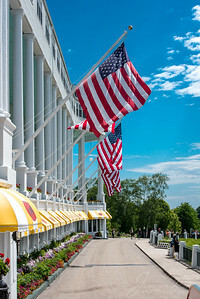 Mackinac Island Michigan. 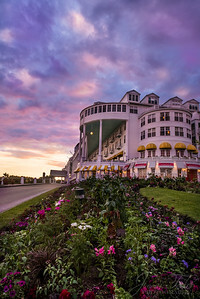 The Grand Hotel night. 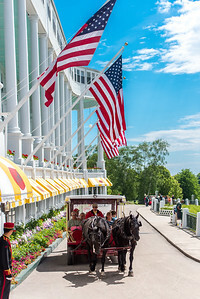 Mackinac Island Michigan. 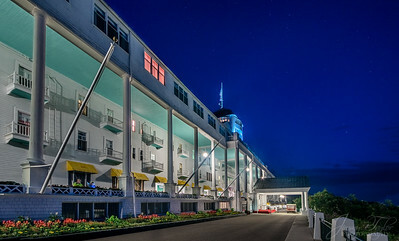 The Grand Hotel at Night. 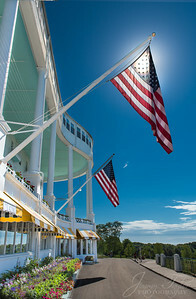 Mackinac Island Michigan. 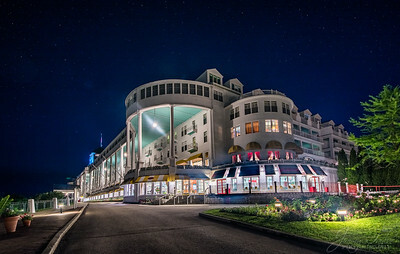 The Grand Hotel at Night. Mackinac Island Michigan. View of the front porch. GRAND HOTEL AT NIGHT. 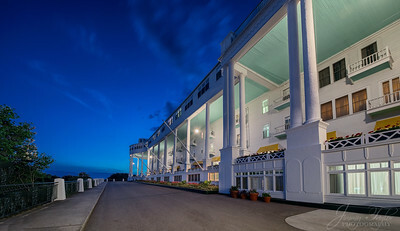 The look of the beautiful "Blue Hour" after sunset at The Grand Hotel, Mackinac Island. 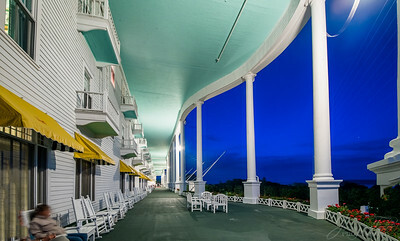 The Grand Hotel Porch at Night. Mackinac Island Michigan. 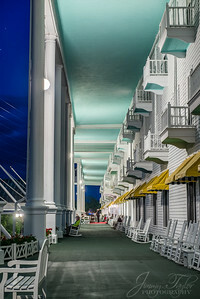 The Grand Hotel at night with a view along the porch. 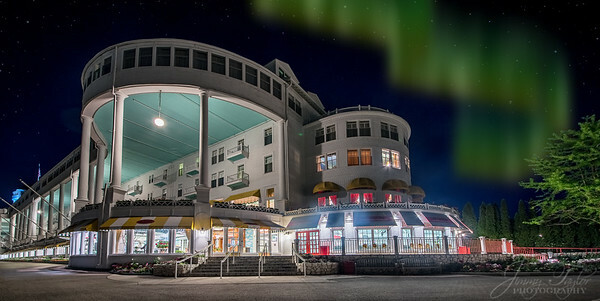 The Grand Hotel at night with Northern lights. Mackinac Island Michigan. 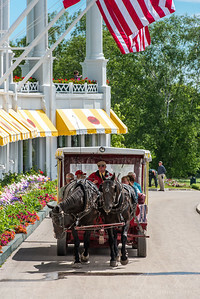 The Grand Hotel in daytime with displays of large flags and horse drawn carriages going by.